This course is a step by step guide for learning simple, clear and correct Punjabi. It includes seven lessons which are designed specifically for English speaking people. Comparisons are made between English and Punjabi to explain concepts. Each lesson builds on the previous lesson and no prior knowledge of Punjabi is necessary to benefit from this book. The main focus throughout the course is word order. We hope this course will benefit you as much as it has others! Really excellent. I'm a beginner in Punjabi, and have bought most of the learning materials that are around. This one is written by native English speakers and is very well organized. From the title I thought it would be boring, but not at all! This course you have made is very unique from the other courses I've seen on the internet and thanks to its simplicity, I can now write simple Punjabi sentences or even speak them. I've learned a lot just by the first lesson. 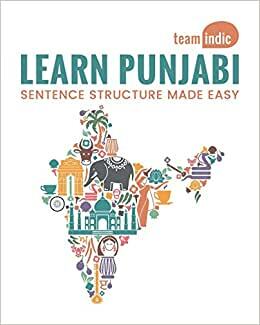 I'm very grateful, thank you for making this gem for us who want to learn Punjabi.